"A Premium Undercouch R/F System High-Throughput Workhorse"
The FluoroSpeed 300 Digital R/F System is designed for high-performance Digital R/F and Bucky radiography. By combining the latest DR system with the YSF-300 R/F table, the system's capability is expanded to digitize the examinations from gastrointestinal to general radiographic studies of the highest image quality. Shimadzu's extensive R&D expertise has made this FluoroSpeed 300 integrated Digital R/F System reliable and flexible, meeting your clinical needs today and expanding the potential for tomorrow. The Imaging Control Unit has been designed with ease of use and maximum throughput. This unit features many automated functions to increase the accuracy and speed of patient positioning and therefore decreases the examination time. Beam Hardening filter and octagonal collimation cut out non-required X-rays to reduce the dose to the patient. 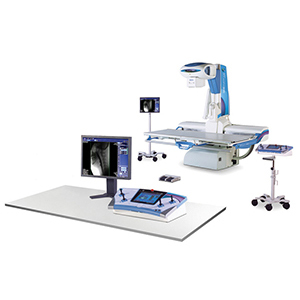 And also four low-dose pulsed fluoroscopy modes (at 3.75, 7.5, 15 and 30 fps) are available to suit most examination requirements. The FluoroSpeed 300 is equipped with a high-quality, high-density-resolution CCD camera. View high quality, full digital images in real time with minimal halation in procedures ranging from gastrointestinal examinations to orthopedic, myelography. 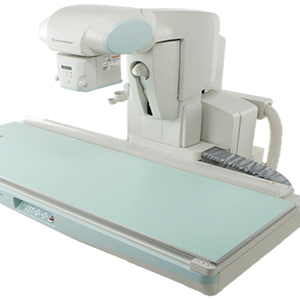 In combination with the CH-200 ceiling-type X-ray tube support, the Fluorospeed300 performs a variety of radiographic works. The ceiling tube mount, table, and generator are integrated, providing easy positioning and setting of radiography conditions. 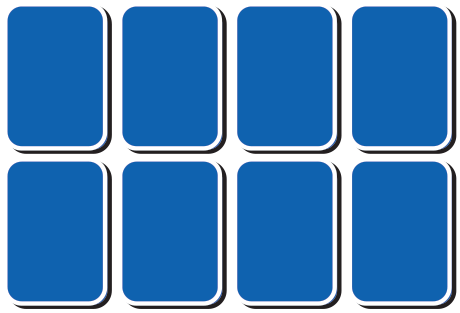 Portable flat panel detectors can be combined with the system to provide a complete digital solution.